Should Israel release more Palestinian terrorists? First published by JNS.org. Reprinted with the author's consent. 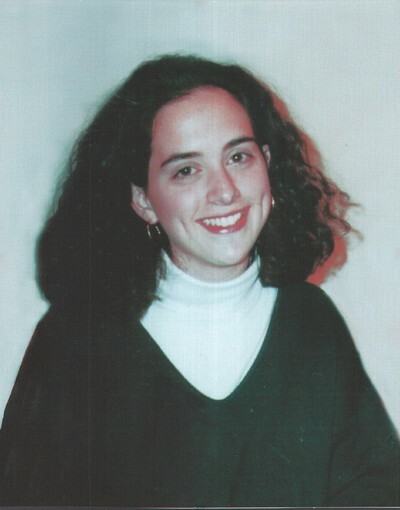 Pictured is columnist Stephen M. Flatow's daughter Alisa Flatow, who was murdered by the Palestinian terrorist group Islamic Jihad in 1995. Credit: Courtesy of Stephen M. Flatow. Every time there's a public discussion about whether Israel should release more imprisoned Palestinian terrorists, my heart skips a beat. My daughter Alisa was murdered by Palestinian terrorists in 1995. Two of the killers have been in an Israeli prison since 1995, serving life sentences. I always worry that they will be among the ones released. So yes, it's personal. But it's also much more than that. It's not just about my daughter's killers; it's about dozens of other Israeli and American families whose loved ones also were victimized by Palestinian terrorists. It's about the future Israeli victims, if the released terrorists return to their violent ways, as so many of them do. It's about what's best for Israel's national security. And, of course, it's about what's best for America, too. Last year, Israel agreed to release more than 100 terrorists, some of them convicted murderers, in stages, as a gesture of "good faith" to the Palestinians. It was a measure of Israel's desperation for peace, and of the Obama administration's not-so-subtle threats to publicly blame Israel if the peace process derails. So to keep that process going, the Israelis took what everyone agrees is a serious security risk. Now the Palestinian Authority (PA) is demanding that Israel release yet another batch of terrorists—even though the PA is threatening to walk away from the peace negotiations in the weeks to come. Sadly, the Palestinian leadership never responds to such gestures with any gestures of its own, any steps that would show their desire for peace. Instead, the released killers are welcomed as heroes, with public celebrations, marching bands, and speeches from PA leaders heaping praise on the murderers. When Palestinians embrace terrorists, it tends to convince Israelis that the Palestinians still, well, embrace terrorism. In a separate "good will" gesture, the Israelis recently gave the PA the bodies of five terrorists, two of whom were involved in suicide bombings that left 16 Israelis dead and more than 80 wounded. Here is how a reporter on PA Television described the two dead bombers at the March 12 funeral in Nablus: "The skies of Nablus adorn themselves with the stars who loved the soil of the homeland, in which they will lie forever having returned to it as Martyrs (Shahids)." Imagine the uproar if after the funeral of Oklahoma City bomber Timothy McVeigh, a reporter for a mainstream American television station, declared: "The skies of Oklahoma City adorn themselves with this star who loved the soil of the homeland, in which he will lie forever having returned to it as a Martyr." PA Television then interviewed the brother of suicide bomber Imad Zubeidi, who said, "This is not mourning, but a wedding of Martyrdom—we are very proud that our brother gave of himself for Palestine." And the sister of the other bomber, Maher Hbeishah, said, "He would always pray, 'Allah, make us live happily and die as Martyrs'—praise be to Allah, he achieved it." This is the culture of glorifying mass murder that the Palestinian Authority has created. If Israel releases 26 more terrorists, as the PA is demanding, that will mean 26 more celebrations, 26 more parades, and 26 more relatives on television, telling millions of Palestinian and other Arab viewers how wonderful it is to carry out suicide bombings. You don't have to be a prime minister or a seasoned diplomat or a four-star general to understand that setting more killers free just doesn't make any sense. It won't increase the chances for peace. It will just give the Palestinian another prime-time opportunity to glorify mass murderers. It won't help our ally, Israel. It will be just another one-sided concession for which Israel will get nothing in return—and will whet the appetite of Israel's enemies to keep demanding more and more. It will send a message to the Palestinians that they don't need to change their ways. They can keep on encouraging terrorism, they can keep promoting a culture of violence—and the Obama administration will keep on pushing to give them a sovereign state, even though we know that it will be a terrorist state. That won't be good for Israel, for America, or for peace. New Jersey attorney Stephen M. Flatow is the father of Alisa Flatow, who was murdered by the Palestinian terrorist group Islamic Jihad in 1995. My condolences to Mr. Flatow!! I would not agree with you more on the article!!! Should Israel release more "Palestiniian" prisoners? 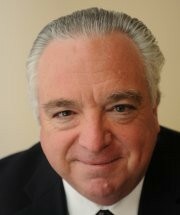 First off I send my condolences to Stephen Flatow. I'm sure his daughter was probably a lovely person who just wanted to live peacefully and perhaps raise a family someday. Obviously the culture of hate and the charters of HAMAS, Islamic Jihad, Hezbollah, etc. need to change or we will always have death and destruction. The culture is merely encouraging newer generations to hate just like their adult mentors. Perhaps we should look at cutting off funds from the UN which fund refugee substinance? The world is paying and bankrolling the Palestinian Authority. Perhaps we should attach conditions just we do with federal grants. I have been to Israel and everyone I spoke to inside the country (Jewish, Christian and Muslim) just wanted peace. Countries like Iran who bankroll much of the terrorism ns that part fo the world should also be dealt with. We, in the West and many countries in the Middle East are creating the generational terrorism by not condemning it sufficiently! Should Israel release more "Palestinian" prisoners?